About a year ago, I became Head Of Growth at WisePops, a SaaS popup solution. As such, one of my primary objectives was to draw more visitors to our website, increase our sign-ups and in the end, our revenue. I laid out a content creation plan right off the bat. A few days later, I started creating landing pages and drafting new articles for our blog. 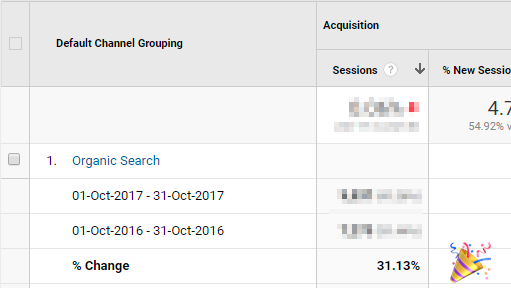 After a few months, my hard work appeared to be paying off: a +31% increase in organic search traffic, mainly thanks to our new blog posts. Or were they? 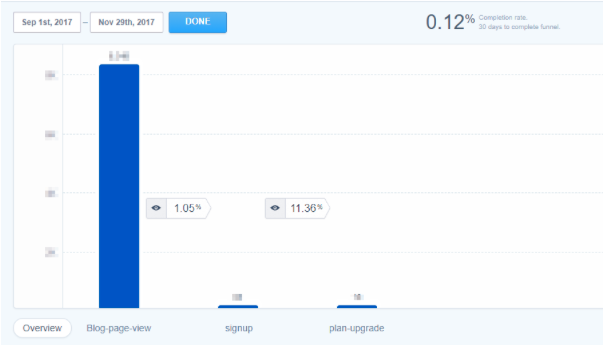 When we analyzed the results in more detail, we realized that only a little over 1% of our blog visitors were converting into trial users. We got more traffic. But only a fraction was converting. A screenshot of our conversion funnel in Mixpanel. Only 1.05% of blog visitors ended up signing up. Luckily, we discovered quickly that the WordPress ecosystem offered a lot of plugins to help us boost our conversions. In this article, I’ll share the different techniques we’ve seen or used ourselves that can help you make the most of your existing traffic. First, before diving into the techniques you can use, it’s important to determine when you should start optimizing your WordPress website for conversions. It could be tempting to optimize your website as soon as it’s live. But it would be a waste of your resources. Most of the tools we’ll mention in this article require a good deal of time and financial investment. It makes sense to invest in them only if you drive enough traffic. To help you determine the right timing, I suggest you try to estimate the number of additional leads you could generate if you increased your conversion rate only. For example, if your website attracts only 100 sessions/month, and you think you can bring your conversion rate from 1% to 3%, it means you’ll generate only 2 additional leads per month. If that’s your case, then it’s probably a better option to start by working on increasing the number of visitors to your site. When you’re ready to invest some time and money in your conversion efforts, you’ll have to pick the right strategy and the right tools. Let’s review your options. 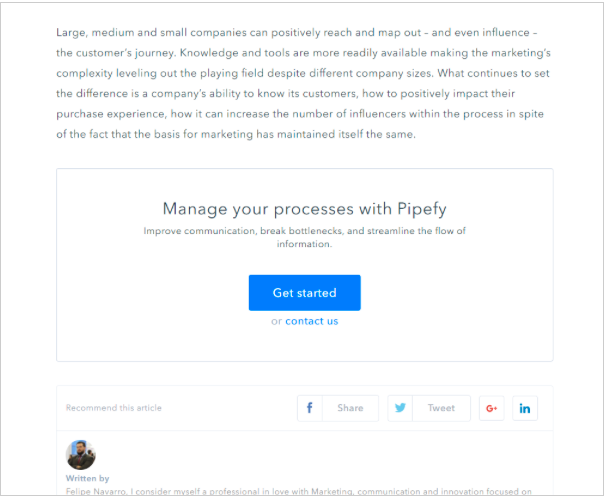 Embedded calls-to-action are a great way to redirect your users from a blog article to a “money” page. Most of the time they’re easy to create and maintain, and even if they drive modest results, they’re worth consideration. We recommend you use a plugin to create, manage and update all your calls-to-action in a centralized way. Most plugins will also include a reporting tool, which will make reporting easier. Identify your top landing pages in Google Analytics (the landing page report can be found under Behaviour > Site Content > Landing pages). Insert calls-to-action on your most popular pages. Make sure to adapt the content of the call-to-action or banner, as well as the destination page, to the context of the article. A/B test your wording and creatives to identify the winning formula. Website popups enable you to add a layer to your website to display visible calls-to-action or collect more emails. Like embedded calls-to-action and banners, they work autonomously and require little investment on your side. Plus they “work” 24/7. Popups can be controversial: build a smart display scenario and test your creative and targeting to make sure you’re not putting off your visitors. For example, I recommend you avoid displaying large popups or lightbox popups on landing. How should you use your popups? The easiest way to use popups is to display them just before the visitor exits the page or when readers reach the end of an article. You can then ask them to join your email list or redirect them to your “money pages” (registration form, demo form, etc.). A capture of our own popup displayed when users reach the end of an article on our blog. It helps us drive users from our blog pages to our sign-up page. The popup we set up on our blog redirects 2.4% of our blog readers to the sign-up page. Not bad! 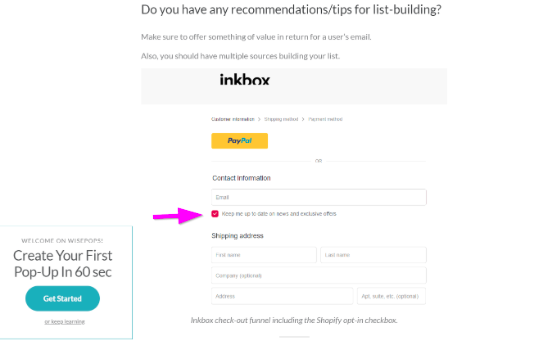 We’ve also added an exit popup to our pricing page to allow customers to contact us. 7.8% of the visitors who see it contact us. About 60% of the messages we receive result in account creation. Live chats are a great way to engage visitors and start one-on-one discussions with your prospects. First advantage: increased conversions. Studies show that live chats contribute significantly to increased conversions. Second advantage: live chats can also help you understand how your visitors think and what they expect from your company. But live chats can generate a lot of additional work. Consider using them only if you have enough staff available, and make sure to measure the impact on your conversion rate. This solution is usually not recommended if you get a lot of traffic to your website. What’s the best way to use live chats? Again, using the chat with a greeting message will probably generate more conversations. Make sure you have enough people to handle them. So far, I’ve only tried a passive strategy because we wanted to talk only with the most promising leads — those who really want to contact us. It worked pretty well on our landing and pricing pages but has generated 0 discussions on our blog. Getting traffic is only the first step of a successful online business. I hope these techniques and tools I shared will help you reach the second step: generate more conversions. Greg d’Aboville is Head of Growth at WisePops. As such, he’s helped dozens of leading brands and startups set up a successful onsite marketing strategy. Very informative and easy to implement….